It is everyone’s goal to get the best price for your home. These few simple steps that can be often overlooked, but only take a couple hours to complete. These great tips can make a small room feel bigger, a standard home stand out to buyers and most importantly get you the best offer for your home. So, where do you start when you want to get the best price for your home? You may overlook it everyday, but when it comes to selling your home, clutter kills space! Remove and store unused items. It is important to keep counters and countertops cleared, mantels and side tables open and excess furniture or items out of your rooms. The more stuff in a space, the busier it looks and the smaller it feels to potential buyers! Cleaning is a necessity, a dirty house will deter buyer, to a buyer a clean house = a well cared for house. Don’t leave a buyer with questions about the quality of your home. Also, be sure every room smells as good as it looks, pay special attention to pet areas, nurseries, and bathrooms. It may only take a coat of fresh paint and a one-time professional cleaning to make your home look like new! Eliminate buyers’ objections before they arise. If you think something is too much trouble to fix, buyers will too. Those things you have been putting off for a couple months can cost you thousands. Buyers will overestimate the cost of a repair, which will translate to a lower offer. Door sticking? Bite the bullet and sand down high spots. Old nail hole in the drywall? Some putty and paint will fix that. Buyers will notice it, go ahead and repair it. If you don’t want to do it yourself, hire a handyman for a day. Professionals can knock out several small projects in a day. It is important that a buyer walks into your home and says, “I could see myself living here.” Don’t distract them form this idea with too many personalized items. Colorful tastes are great, but not for everyone. The use for each room should be clear to buyers when they tour your home. If something confuses it, lose it. This doesn’t mean sell it (though selling is a great way to clear house), just put it in storage or have a friend keep it, especially if it is important to you. Choose your most classic room furnishings, neutral and natural tone colors, and decor. Make your home dynamic! You are competing with every other house listed, buyers should remember your home. Use popular magazines for decor and landscape ideas. Your home should stand out, inside and out. Simple things like using fresh flowers in your home or adding a touch to your front door will make your home stand out. Showing a house is an important part of the buyers experience. Make a plan to do a final run through before a buyer visits. Identify jobs before a showing and assign them to make showing prep go easier. Plan a fun activity – away from the house – during showings. Potential buyers will appreciate the privacy. Great now you know the basics! The easiest possible ways to get your home ready to impress buyers. Every neighborhood is unique, and so is a buyer’s wants. 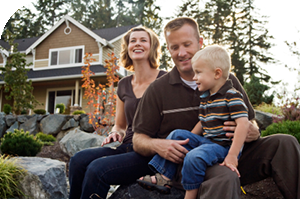 Talk to your real estate agent about what buyers are looking for in homes in your area. This can give you areas to target. Realtors also share feedback with one another. Though you may not speak directly with a buyer, your agent will speak with the buyers’ agent, this is a great way to learn more about what you can do to improve your home further and get you the best price for your home! Talk to one of our expert agents about listing your home and what buyers are looking for your in your area. Click here to learn more about our agents.